On Wednesday evening, Libyan army Field Marshal Khalifa Haftar ordered the arrest of Mahmoud Al-Ourfali, a Special Forces officer, accused of executing dozens of detainees after he escaped from prison. Last January, the military ordered the arrest and capture of al-Ourfali for violating direct orders and military recommendations, and for creating sedation and confusion in Benghazi after he appeared in video clips as he was supervising the execution of terrorists who were shot dead in public squares before being helped to escape from prison earlier this month by a number of his supporters. 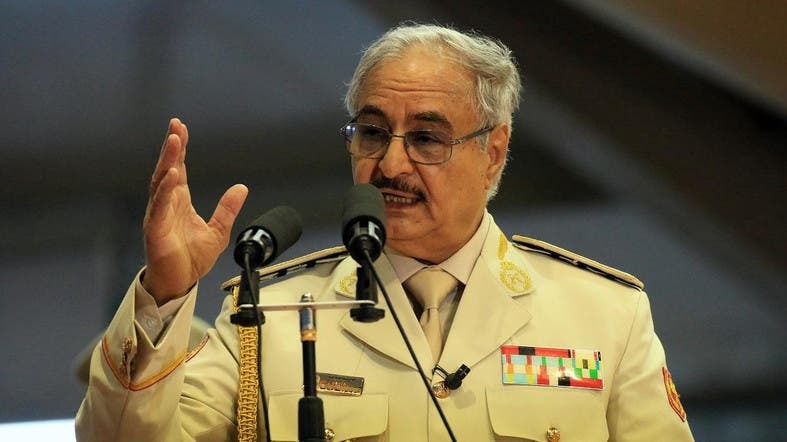 In a statement on Wednesday, the general command of the Libyan army stated that Haftar also ordered the arrest of anyone who has committed a violation of civil and military law, or threatened the security of the homeland, citizens and state’s institutions, and to detain them in military prison while awaiting their trial. The General Command emphasized that any harm to public or private property or the commission of any acts affecting the lives or endangering citizens would expose the perpetrator to prosecution and harsh punishment. The International Criminal Court has called on the authorities in eastern Libya on more than one occasion to extradite al-Ourfali. However, the Libyan army's general command has refused to do so, according to official spokesperson Ahmad al-Mesmari, who stated that al-Ourfali will be tried according to Libyan laws.